Gorgeous Gulf-Front 2 BR/2 BA-1st Floor - Pet Friendly - Prime Weeks Available! Fantastic 1st floor condo! A Building - End Unit. Very Spacious condominium with 1,100 square feet of living area and beautiful balcony with access from living room and master bedroom. Master bedroom, living room, and kitchen all have fantastic views of the Gulf. Condominium located on the first floor for easy access to the beach. Ceramic tile in entire condo. Marble counter tops and cabinets in kitchens along with cultured marble vanities and tops in bathrooms. Located in the Dunes of Panama Complex. Ample parking with one covered parking spot allocated to the unit. Friendly, family atmosphere ensures enjoyment for all guests. Condo is on the first floor above the parking level. Other condos also available - call or email for availability. Special rates available for non-prime times. As our perfect vacation spot, we decided that one day we will retire here. We enjoy every minute we are fortunate enough to spend here in the Dunes. I was born very close to the east coast and we always vacationed there, however when I first came to PCB in 1982 I absolutely feel in love with the sugar white sands and the people and decided this was going to be my retirement home along with my vacation spot. 15 years later I bought my first condo here and my family relocated here in 2005. That is a great testimony to our love for this area and why providing our condos for others to rent does provide us with great pleasure because we know our guests will have a fantastic vacation. 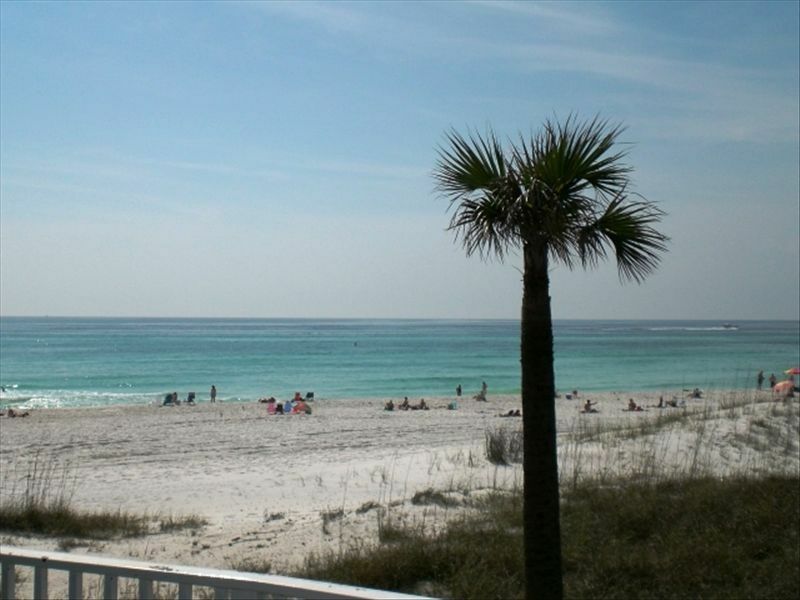 Dunes of Panama (DOP) offers the most beach frontage on Panama City Beach at 1500 feet of Sugar White Sands. We believe Thomas Drive is the absolute best area for beach visiting. DOP is a very laid back, family friendly condo association that is sure to satisfy your every need. This area on Thomas Drive is sheltered from the hectic traffic and has quick access to shopping, entertainment and restaurants. Come see why one of our Dunes condos just may be your perfect vacation choice. Tony was an amazing host, made sure we had everything we needed. Answered any questions we had about the area. But most of all we were able to bring our fur babies with us and they enjoyed their week stay at the beach. Excellent location right next to the dog walk for the babies. Just down the stairs and sidewalk to the beach or across the walkway to the pool. We look forward to another stay there! Property is NOT as pictured. Unit was filthy so our first trip was to Walmart for cleaning supplies! Had to clean floors twice to get black gunk off. Also had to clean bathrooms, bed linens, and towels and washcloths (questionable stains requiring disinfectant). Used chewing tobacco left on nightstand in guest room along with a sticky substance down wall and on floor in guest room. We were delayed getting into unit by the “cleaning” staff. Not sure what they were doing because it certainly wasn’t cleaning! Living room had feathers from a pillow strewn on the floor and under sofa and entertainment center. It would be nice if our cleaning fee was refunded! Furniture (beds, sofa and armless chairs) VERY uncomfortable. Seating only for 4 adults “un-comfortably”. Unit is very outdated. Beware, you are renting on a PUBLIC beach - not very clean. 1- Owner allowed our large dogs with a $300 non-refundable pet deposit. Our dogs are more well behaved than most children and cleaner than most people. We had to clean before we allowed our dogs in the unit!!! I’m sure owner will say we should have contacted him about the issues while we were there but why would I want the same “cleaning” crew back that didn’t clean before we arrived! In addition, I’m sure he wasn’t prepared to replace all the furniture and repaint the unit! Tony was a wonderful host. He's the only person that we have ever rented from who bothered to text and make sure that everything was well, before we arrived. He sent me the code to get in and told us that our parking passes were in the condo. The resort itself was set up perfectly. We were just a short walk from the beach and the pool was right next to the beach. We also loved that it was very pet friendly and we were able to take our fur girls with us this time. We loved it so much that we will be back in 3 weeks. We thoroughly enjoyed our stay in this beautiful condo!! Very convenient location on first level with direct access to the beach only a few feet away! This place is awesome! My family and I love this condo! We have rented this one, and another unit owned by Tony, for the past 3 summers and I can tell you that it's been a wonderful experience! The best part is we can bring my fur baby with us! You can't beat the condo for the price and location! Great location, but smelly inside. Location was great. Ease of use (keypad code) a plus. Beds & furniture nice. Great view of sunset. BUT...it smelled like wet dog or simply urine inside. It was right off the stairwell and the smell was about the same when you walked in. I had to buy air fresheners and a swiffer to try to help make it smell better. The swiffer was also because the floor turned my children's feet black. Dirty! I used 5 mop sheets throughout and they were all nasty. The bathroom sinks were both too tall for my almost 5 yr olds to reach. Overall, we were just thankful to have friends staying in the neighboring resort so we basically just slept in ours. We strive to maintain a very clean and fresh smelling condo for our guests. This is the first time I received a complaint about the smell outside or inside. This review was the first I heard of this complaint and it was 3 weeks after the guest departed. I wish my team were given the opportunity to assess and address the issues, we are steadfastly driven to make our guests comfortable and happy with their stay. Our goal is to attain 100% satisfaction from our guests and we will do our earnest best to quickly and effectively deal with any issue a guest raises upon arrival or during their stay. Rates subject to change until reserved. Pet fee is for 1 pet. Additional pet is $100. The monthly rate is for multiple months.